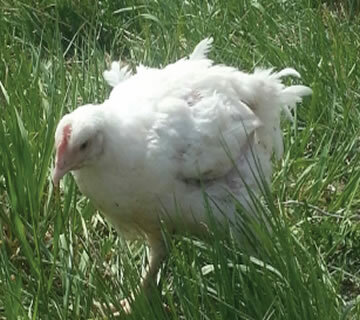 The broiler chicks start their lives in a warm brooding barn the first four weeks. After this we move them on pasture and provide them with living conditions that are expressions of their natural behavior. They are free to range, enjoying the sunshine, taking dust baths, and relishing bugs. 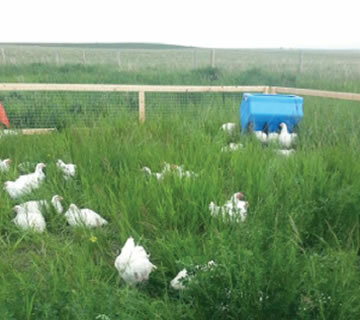 Our chickens are fed a home grown ration consisting mainly of wheat and peas. 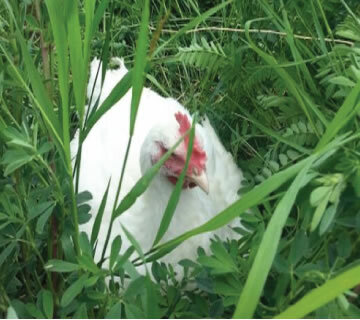 Chickens are available fresh five times a year from June to October and available frozen year round. Cut up chicken is also available, all parts are vacuum sealed for freshness. Feel free to contact us through email or phone for more information. Whole chickens are $3.95/lb. Chickens weigh between 5 and 8 lbs. 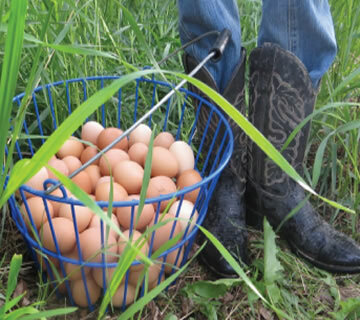 Farm fresh pastured eggs are also available for personal orders. 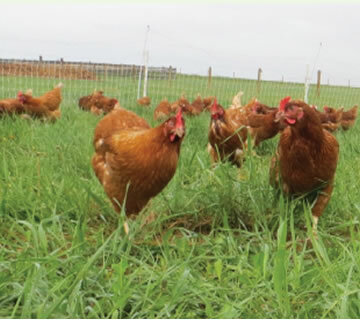 The egg layers are happy, healthy, chickens whose eggs contain far more omega-3 fatty acids, 10 percent less fat, 40 percent more vitamin A and 34 percent less cholesterol than eggs taken from their cousins raised in confinement. You will see and taste the difference! Limited quantites available.